Cullen has changed sides and joined the Central Pacific Railroad with hopes of finding his lost family. The final season of Hell on Wheels is quite a departure from seasons past, centering around a new setting in California and a new cast of characters that features Chinese railroad workers for the first time. Certainly, the season does revisit Bohannon’s old stomping grounds with the Union Pacific Railroad as each railroad races towards completion. 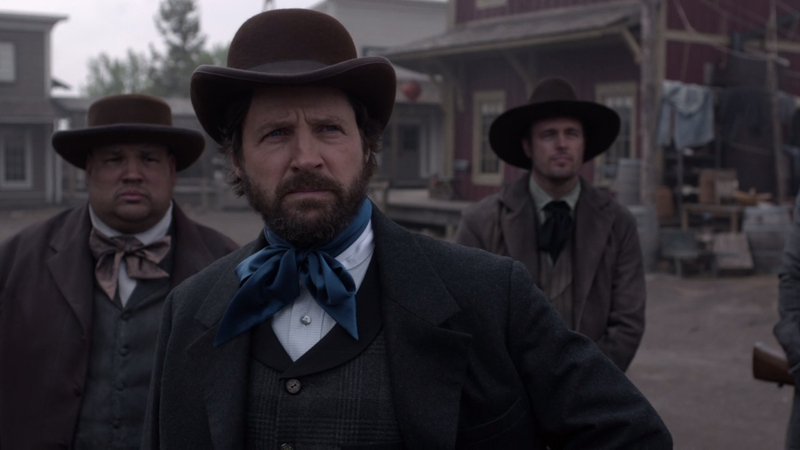 Bohannon’s desperate efforts to find his wife and boy are further complicated when his long-time nemesis, The Swede, joins forces with Mormon leader Brigham Young. The final season was split into two parts, with the second airing Summer 2016 to conclude the series. President Grant arrives to negotiate with Brigham Young and the railroad tycoons on finalizing the railroad terminus. Eva ends a threat. Phineas moves against his father. Against the wishes of Jim Strobridge, Cullen uses nitroglycerin to make strides. Meanwhile, the angry folks of Laramie seek justice against Durant. Durant's latest scheme backfires, triggering a visit from Governor Campbell. Mei is in the crossfire of Chang and Cullen's power struggle.